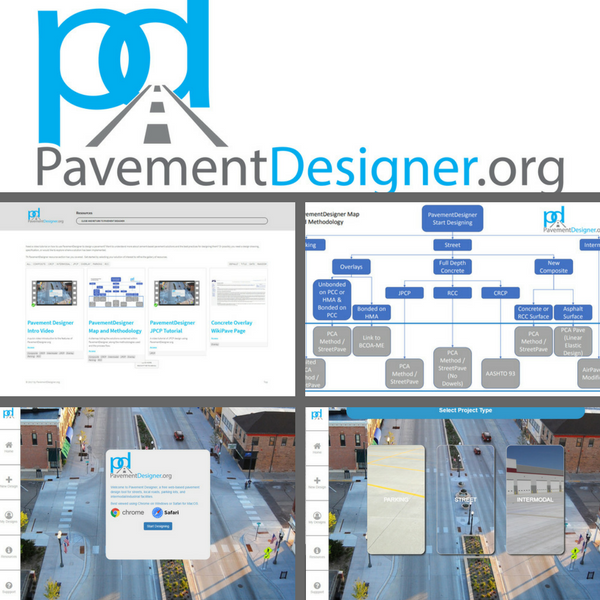 PavementDesigner is built on updated versions of ACPA’s StreetPave, AirPave, and WinPAS programs, as well as PCA’s PCAPave program. The portal includes pavement design guidance, substructure sensitivity, and asphalt design evaluation capabilities. Need expert guidance or support designing your pavement solution? Our promoter network is ready to help. Use the map tool below to find a promoter near you or contact a supporting national association. This pavement design tool is offered at no cost via leading industry associations such as: American Concrete Pavement Association (ACPA), Portland Cement Association (PCA), National Ready Mixed Concrete Association (NRMCA), Roller-Compacted Concrete (RCC) Pavement Council. Roller-Compacted Concrete Pavement is vastly growing from Hardstands to Bike Trails. Strength, durability, cost-effective, and low-maintenance make it an appealing option for a variety of municipalities. Concrete Streets provide a long-lasting pavement for city streets and local roads. This module can be used to design conventional jointed plain concrete pavements (JPCP), roller-compacted concrete pavements (RCC), or continuously reinforced concrete pavements (CRCP).